It's been a good two decades since David Berman's poetic indie outfit Silver Jews released their debut seven-inch Dime Map of the Reef, and if you've noticed some serious wear and tear on your battered wax slab, or missed out the first time around, that song cycle and more will be preserved on the upcoming collection Early Times. Drag City has announced the label will release a compilation of early and rare Silver Jews tracks called Early Times, which arrives June 19. The collection will feature both Dime Map of the Reef, released on Drag City in 1992, and the 1993 twelve-inch The Arizona Record on one tidy disc. The press release praises the early days of band founder Berman and Pavement members Steve Malkmus and Robert Nastanovich, describing the ramshackle recording sessions as being captured "so incredibly imperfectly" on "hiss-laden boombox mics." You can check the tracklist and a stream Dime Map of the Reef closer "The Unchained Melody" down below. 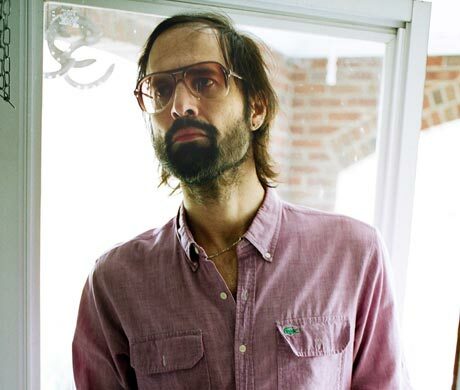 Silver Jews' swan song before imploding in 2009 was the previous year's Lookout Mountain, Lookout Sea.